Could this be the comprehensive solar-plus package the industry has been looking for? Sometimes solving a problem requires coming at it with an entirely different perspective. That's how Christopher Estes came to create SolPad -- a potentially disruptive home solar solution that launched yesterday after several years of quiet development. Estes is the inventor of a professional audio device called CLASP (Closed Loop Analog Signal Processor) that allows audio recording experts to seamlessly bridge analog and digital recording techniques. The technology was launched in 2010 and is still used widely in recording studios. Today, however, Estes is squarely focused on the clean-energy sector. Estes is currently the CEO and chief product architect of SunCulture Solar, and the inventor of SolPad -- a first-of-its kind integrated solar-plus-storage solution designed for the masses. Each unit features a high-efficiency solar panel, a built-in solid-state battery, an inverter system, and software that uses gamification to promote sustainable energy use, all contained in a single device. Traditionally, solar and home energy management devices are bought and installed separately. “With our groundbreaking component miniaturization and integration, we’ve transformed solar -- much like the smartphone revolutionized the personal computer sector -- combining numerous components into a single device that’s significantly less expensive, more powerful, and easier to use than conventional systems,” said Estes, who introduced SolPad at an event last night in San Francisco. The product comes in two versions: SolPad Home, which is designed to deploy on rooftops and power an entire household, and the SolPad stand-alone panel, which integrates into the home or can be used in off-grid applications. The products are scheduled to come to market in the second half of 2017. The integrated design allows all SolPad products to operate independently. That means customers can start with just one device and add more over time with minimal installation effort. Mobile SolPads can be stood up and combined to form a mini-grid with a single cord. SolPad Home installations are built with SunCulture’s trademarked Connect system -- a three-pronged piece of equipment that links two or more SolPad Home panels together without the need for any complicated cabling or wiring. By simplifying the installation process and the reducing the number of components that need to be deployed with each install, SolPad Home is estimated to reduce the total cost of installed solar and energy storage by up to 50 percent when compared to existing product offerings. The savings are primarily achieved through the integration or elimination of balance-of-system parts and by reducing soft costs, such as labor. SunCulture developed several different products and components, which were kept under wraps until this week. A staple product is the SolPad Home, which includes a panel made of 96 cells connected by diodes, and generates 330 watts of solar power. SolPad Home requires a racking system and the Connect system to link panels together, but otherwise all of the necessary technology comes built in. Within every SolPad, there is integrated “solar micro-storage” that uses solid-state, low-voltage battery technology. These batteries are designed specifically to be integrated within the panel and deployed safely on a roof. Unlike standard lithium-ion batteries, solid-state batteries do not have a liquid electrolyte, which makes them inherently safer and less flammable. SunCulture claims its solid-state batteries can safely withstand conditions on the roof up to 200 degrees Celsius, plus any other elements. 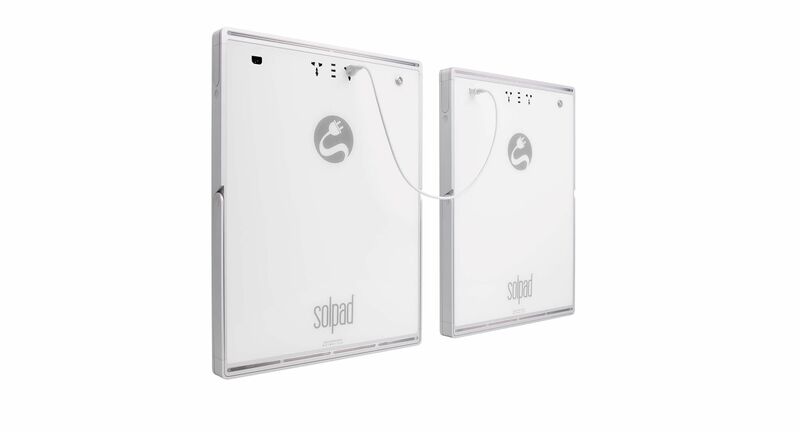 There are two SolPad micro-storage options: a standard 500-watt hour battery and an optional 1-kilowatt-hour battery. The 1-kilowatt-hour battery can be fully recharged by the sun or the grid in roughly three hours, while the 500-watt hour battery can be fully recharged in just an hour and a half. The next component is SunCulture’s patented flexgrid inverter that allows for bidirectional power flows and maximum power point tracking. The technology is equipped with rate tariff data and software that can automatically detect when rates are low and the battery should charge from the grid, and when rates are high and the system should draw on solar power. In the event of a power outage, flexgrid will automatically disconnect, forming a small microgrid to power a customer’s essential loads. The inverter also senses power voltages between 110 and 240 volts, which means the SolPad can work anywhere in the world, right out of the box. Estes and his team also developed the SolControl smart plug that a communicates with any light, appliance or device connected to the plug. Customers can control these devices through an app. Similarly, there is the SolControl Breaker, a smart circuit breaker installed at the electrical panel that communicates with SolPad, allowing customers to control water heaters, dishwashers, HVAC systems, or an entire room through the SolPad system. All of this technology communicates seamlessly through SolLink, SunCulture’s wireless module that serves as a central hub for the entire system. This information is relayed to the SolControl app that allows users to manage their connected devices from their smartphone. The net result is a beautiful, seamless home solar-plus-home-energy-management solution -- the likes of which Tesla and other companies have been trying to create. The capabilities SolPad offers do exist on the market today. The distinguishing factor is the level of integration SunCulture has been able to achieve. SunCulture says SolPad is up to 50 percent cheaper than competing technologies. By eliminating most of the technology typically installed below the roof, SunCulture claims that SolPad Home is nearly $20,000 cheaper than a residential solar system with a microinverter and a premium AC battery. However, the technology has yet to live up to a real-world test. 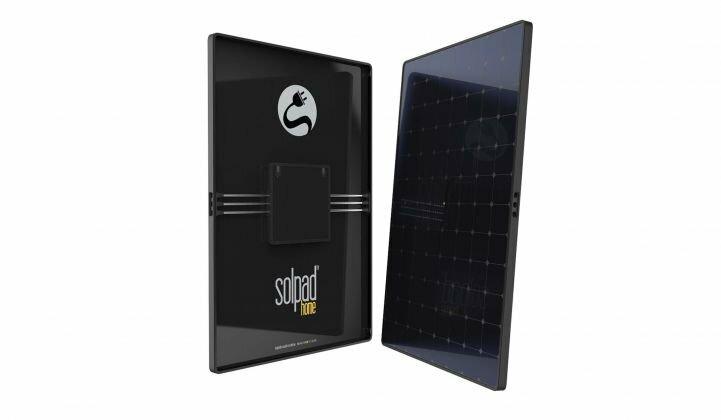 SolPad, the mobile solution from SunCulture, offers the same home energy management capabilities available with SolPad Home, but in a portable package. The thin, relatively lightweight form factor means that SolPads can be transported and used in recreational settings or for humanitarian needs. Each SolPad has two universal outlets on the back and three fast-charging USB ports that allow users to plug alliances directly into the panel. Integrating SolPad into the home simply requires plugging SolPad into an outdoor outlet, and the power will flow in. To get more power, SolPads can be linked together. This setup will give renters, and anyone else who can’t put solar on their roof, a meaningful way to participate directly in the solar market. There are roughly 125 million homes in the U.S., but only about 60 million of them are suitable to host solar on their rooftops. By connecting the panels to a SolControl smart plug, it’s possible to see how apartment-dwellers could direct their solar energy toward the socket powering their television for emissions-free viewing or decide to solar-power their blender. Alternatively, the portable SolPads could power an entire home’s lighting system just by positioning the panel in the sun for most of the day. These new uses could significantly grow solar deployments. Estes envisions SolPads will eventually be sold directly to consumers through REI, Bass Pro and similar outdoor stores. The price point will be low enough for customers to pay with a credit card and walk out with a panel. SolPad Home, meanwhile, will be sold through installer partners. For larger SolPad Home projects, installers are expected to offer financing. The solar industry is just getting to know SunCulture and SolPad following the official launch last night, but so far the reception has been positive. “I think it’s aggressive and pretty impressive that they’ve been able to do all of that [technology development] themselves,” said Barry Cinnamon, CEO of Spice Solar and a longtime solar industry installer. Cinnamon said he is particularly interested in SolPad’s integrated solar-plus-storage solution. Soft costs for residential solar are high, but soft costs for residential storage are even higher, he said. Standalone home battery systems require special training and inspections to install, which adds to overall cost. The ability to deploy solar and storage together as a truly turnkey solution “makes those soft costs go away, and that’s a tremendous savings,” said Cinnamon. SunCulture has already patented all of its new technologies, but the startup has yet to decide on suppliers. Pricing could change significantly with the finalization of manufacturing partners. The technology also has to prove it's durable enough to withstand real-world settings. “Not only is everything patented, but everything works,” Estes insisted. Indeed, it does. At least in demonstrations. During a visit to SunCulture’s offices, Estes lined up three standalone SolPads, connected them with a roughly two-foot-long white cord and plugged a leaf blower into the back of the pad, which comes with a socket. The blower powered up and Estes monitored the system’s performance on his iPhone. He then plugged in a hair dryer and a row of multicolored Philips Hue light bulbs and changed the colors through the SolPad app with a tap of his finger. Estes showcased additional features, including the nine LED lights installed at the top of the portable SolPad that can serve as a bright light source. The SolPad also plays music and has an anti-theft alarm where the solar panel yells in a woman’s voice “Help! Someone call the police!” Estes clearly decided to have some fun with his invention. At the same time, he takes it very seriously. Besides opening up new markets for residential solar, SolPad could solve some of the policy problems residential solar is facing with respect to net metering. 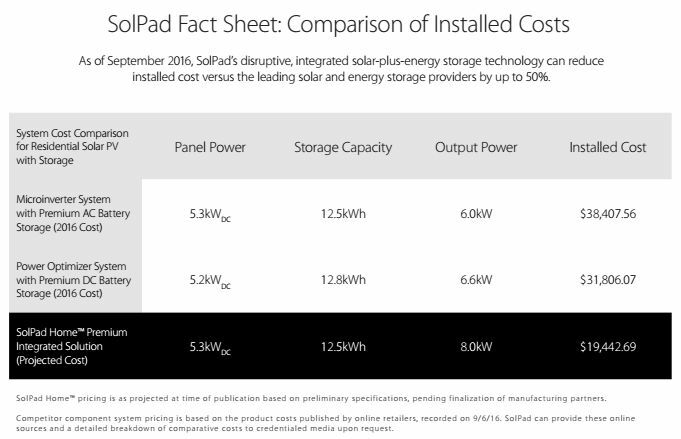 The goal with SolPad is self-consumption, not to maximize solar output and push excess generation onto the grid. Utilities across the country claim excess output is causing grid issues and that the credits customers receive for that extra generation are unfair to non-solar owners. Estes sees SolPad as a friend to the grid because it allows customers to better manage their energy use and consume more within the home, lessening the burden on the grid. And with energy storage baked in, customers can shift their daytime solar generation during peak times in the evenings. “We can dictate that there's nothing going to the grid, and then you don't have a net metering issue anymore,” said Estes. Because customers are consuming all of their solar power on site, “we insulate the customer from potential changes in regulations related to net metering and other financial tethers,” he added. Also, because SolPad claims to be so much cheaper than existing solar-plus-energy-management solutions, Estes said that customers can afford to live without the net metering credit. SunCulture employs fewer than 50 people. Estes isn’t the only employee with a diverse background. Several members of the team come from the automotive industry or previously developed military-grade equipment. The unique origins of SolPad’s employees have brought a new twist to residential solar technology. It has also attracted new sources of funding. Estes wouldn’t name his backers, but noted that the company has raised “many millions” of dollars, much of it from outside of Silicon Valley. Kirsch said new approaches and new market participants are needed for solar adoption to become truly mainstream.